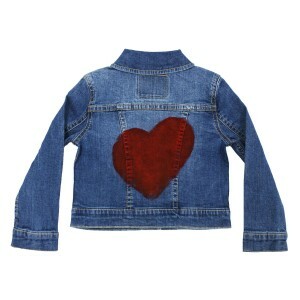 Want to help your tot share the love this Valentine’s Day? 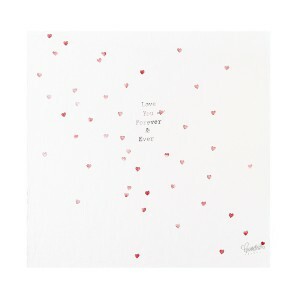 We’ve got 10 Valentine’s Day themed products that bring all the warm and fuzzies to this LOVEley holiday! It’s that time of year again when love is in the air. When it comes to Valentine’s Day, it doesn’t have to just be about cards and candy. You can show kids some extra love with PJs, footwear, décor and accessories! This year – some of our favorite brands have created lovely pieces that will be extra special on February 14th, but also stand the test of time. All thoughtfully designed and ethically produced, these products have been hand picked by our team because we, ourselves, are parents. It’s fun to get in the spirit of giving and this Valentine’s Day we wanted to give things we know our babies or kids will LOVE all year round. If you live in the northern hemisphere, then you know that February can be cold! 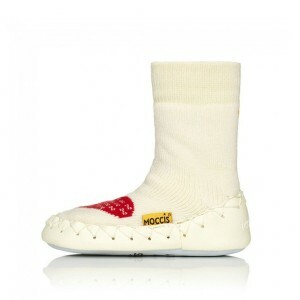 Keep your little lady’s feet warm, cozy and cute with the Warm Heart Moccasin from Moccis Moccasin. 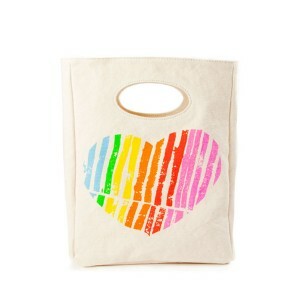 Ethically produced in Sweden and made by hand, they are durable, skid proof, and won’t fall off. 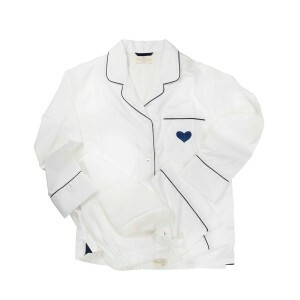 This super soft cotton pajama set will keep your Tot warm and cozy all night. Featuring a Peter Pan collar, elastic waistband and hand-embroidered heart on the front pocket, the adorable set makes a gorgeous gift for your little love. For some extra Mom & Me cuteness, the PJs are also available for Mama. Comfy for them. Easy for you. 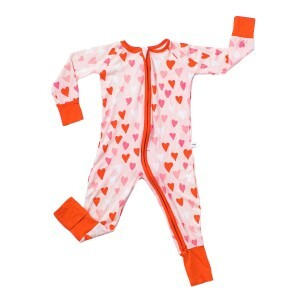 The Little Sleepies Hearts Sleeper is made in a naturally hypoallergenic and eco-friendly bamboo/ spandex blend and designed with a head to toe zipper that makes midnight diaper changes a breeze. 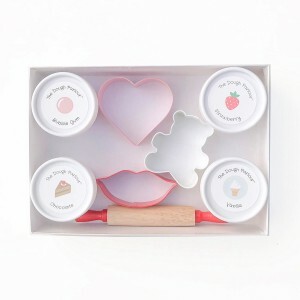 Exclusively for The Tot, and perfect for Valentine’s Day, little ones will love this Dough gift set featuring classic scents and colors! Fresh and handmade-to-order in Canada, they use only 100% food-grade, non-toxic ingredients to create a safe and creative sensory experience for little ones. Need a new lunch box for the new year? The Fluf Classic Lunch Bag is MACHINE WASHABLE. Yep, your read that right. Pre shrunk and fully machine washable, this adorable lunchbox is made with non-toxic organic cotton that is easy to clean and wait for it – easy to wipe down! 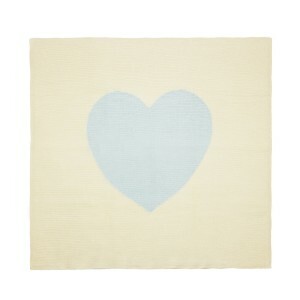 The perfect gift for a newborn, the Estella Heart Cotton Baby Blanket is lovingly knit in Peru by an ethical and Fair Trade Manufacturing house. Made out of soft Peruvian cotton, it’s great for tummy time, snuggles, nursery décor and more! Do you have a mini interior designer in your house who loves decorating their bedroom? 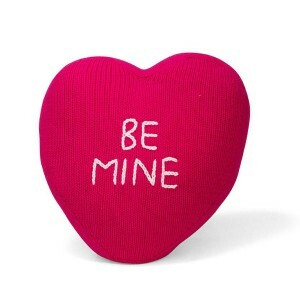 You HAVE to get them the Estelle Be Mine Heart Pillow. 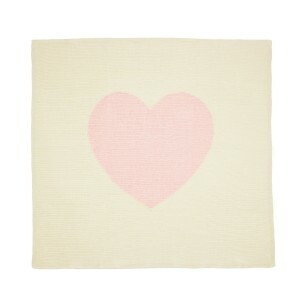 Adorable all year round, it’s ethically handmade in Peru and the cutest statement piece for any bed or chair. 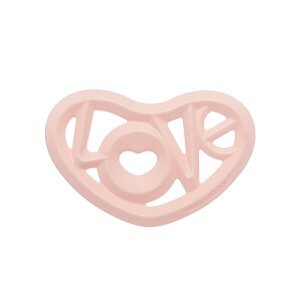 The Heart Love Teether is simply irresistible and offers a super cute and effective way for your tot to get teething relief. A Loulou Lollipop original, it’s strategically textured on both sides with raised details to massage top and bottom gums. Swaddles are arguably one of the most versatile things you can gift a baby. They help them sleep, help them feed, help them feel warm and most importantly – help them feel your love. The Coveted Things Love Forever Swaddle will be an heirloom blanket that can be passed down from sibling to sibling and even generation to generation. 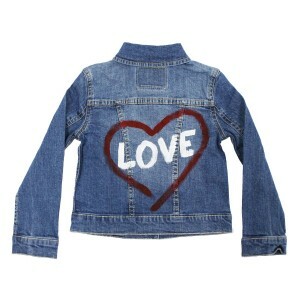 Made of soft and durable cotton, the classic Levi’s trucker jacket now features hand-painted personalization from Dallas native, Kris Cormier Ammon! With over ten years of hands on experience in the luxury space of fashion and interior design, founder and designer, Kris, is anything but status quo. 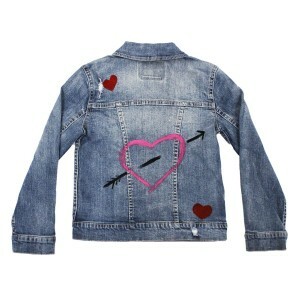 Just in time for Valentine’s Day, your little one will love this exclusive, hand-painted heart and arrow design! Because there’s just so much more Valentine’s Day Gift cuteness to be had, make sure head to our Valentine’s Day Gift Shop for more.